A general USP air flow kit drawing. 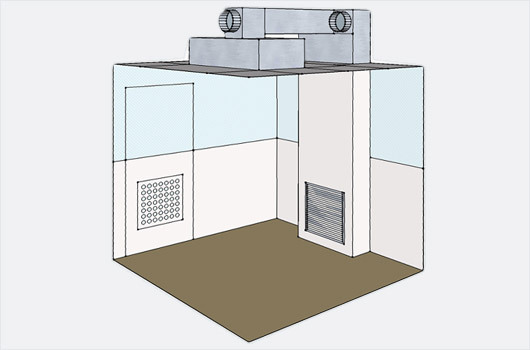 HEPA Filtered air flow is perhaps the biggest challenges in converting existing spaces into a USP 797 compliant cleanroom. Lasco Services stocks ready-made quick ship components that will provide the proper amount of filtered air, air changes, and the ability to maintain and monitor room pressure. We will work with you to design the appropriate solution and components for your cleanroom. Each kit will come with installation instructions. Our cleanroom technicians can install the kit for you or assist you and your contractor through the steps.